We believe in opportunity: the opportunity to learn, grow, and succeed academically, spiritually, and emotionally. Our preschool students excel in a Christian environment, where safety and love inspire innovation and creativity. 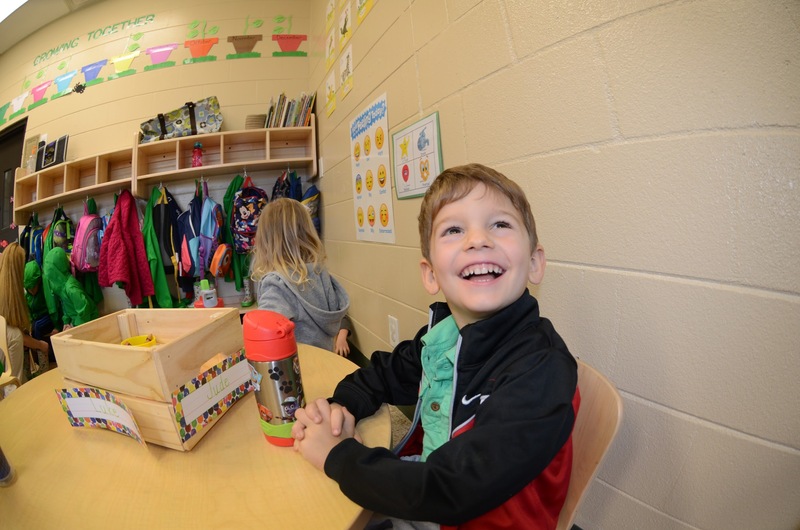 Every child at St. Luke’s is treated as an “unrepeatable miracle of God” and is allowed to explore and develop their unique talents and abilities. Our preschool students have boundless opportunities with robust music, fine arts, technology and athletic programs. St. Luke’s has taken the concept of the inside classroom outside through “Slavia Village/The Outdoor Classroom!” Our outdoor classroom has distinct learning areas, including discovery/sensory tables, a construction and building zone, an art space, and a music and movement area, to name a few—and most recently, The Slavia Village Lab! We feel there is a definite need to for preschoolers to explore the outdoors, not only so they develop a love for the environment but to help children develop their imaginations, independence and confidence as well. St. Luke’s uses Conscious Discipline as an emotional intelligence program that consists of Brain Smart strategies for responding, rather than reacting to life events. It is a research-based program proven to increase academic achievement, decrease problem behaviors and improve the quality of relationships. The ultimate goal is to create a sense of unity with a school family atmosphere, while building a safe-learning environment in which children learn how to self-regulate and problem solve. 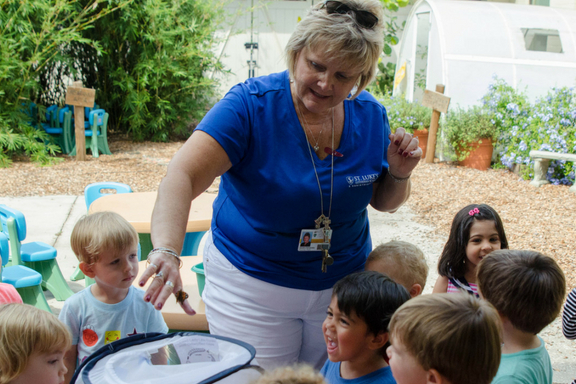 Our preschool curriculum is geared towards play-based learning. Children explore using all their senses, discover patterns of change over time and become active learners. Research tells us that when all senses are engaged, the opportunities for retention are greatly increased. Our goal is for our preschoolers is for them to not realize they are learning, but to enjoy exploring a stimulating environment where critical thinking is the basis for all they do. We believe that students are all created with their own God-given talents and strengths. 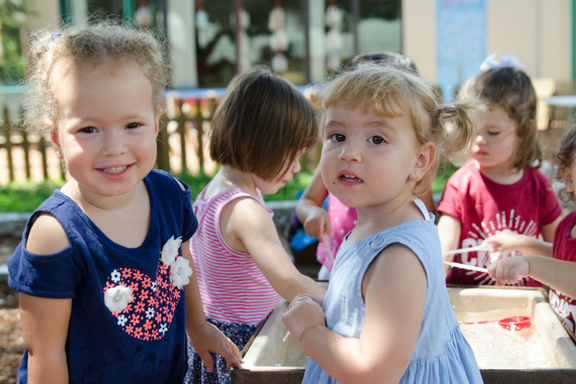 Our preschool students have the opportunity to experience a variety of learning opportunities, including: art, music, outdoor learning, technology and more. STEAM is a concentrated class for science, technology, engineering, art and math that’s centered in an outdoor setting. Our STEAM curriculum builds on children’s sense of wonder about nature, inviting them to explore wildlife and the world around them. This interactive after-school program allows students to explore science through fun developmentally appropriate activities in our Outdoor Classroom lab. Designed for students who are age appropriate for Kindergarten, but who exhibit younger developmental tendencies.